Pastor Jan-Aage Torp gave a challenging teaching on Sunday morning on «Building the Church», based on the narrative from the Book of Ezra chapters 1-4. - First, the Lord spoke to King Cyrus of Persia, a non-believer in HIM, about sending the Jewish people back to the Promised Land to rebuild the Temple in Jerusalem after a 30 year exile (568–538 BC) in Babylon. The Lord stirred up the spirit of Cyrus and charged him to build him a house at Jerusalem in Judah (Ezra 1:1-2). So God can use whoever He wills, maintained Jan-Aage. - Second, the Lord supplied all their needs both through King Cyrus and the people themselves. They all gave generously because they were rebuilding the Temple of God. In much the same way, Restoration Oslochurch is rebuilding the Temple of God in the center of Oslo. God provides, even through non-believers, and He stirs everyone of us to provide what is needed for the «Oslo Temple» to be built (Ezra 1:4-11), said Jan-Aage and showed the results that God is accomplishing through Oslochurch. - We see God´s Hand at work before our own eyes! he declared. - Third, the rebuilding can only be accomplished when «everyone whose spirit God had stirred to go up to rebuild the house of the Lord that is in Jerusalem» (Ezra 1:5). Too often modern day churches in Norway are trying to coax people to come. But it is God who calls. The calling that Restoration Oslochurch has for Oslo, Norway and Europe necessitates that everyone has a sense of calling from God. We should never beg, entice or coerce people to come. The fourth emphasis of Jan-Aage was the role of «the altar of the God of Israel». «They set the altar in its place, for fear was on them because of the peoples of the lands», and «the people gathered as one man to Jerusalem» (Ezra 3:1-3). In much the same way God has called Restoration Oslochurch to build the altar of God in downtown Oslo, declared Jan-Aage. - We are not copying anyone else as we are building our Chapel as a center for Prayer and Worship. We practice prayer and worship in diverse forms so that we can tear down strongholds in Oslo, Norway and Europe that are destroying individuals and families. Even when we prayerwalk we consciously seek to bring down the structures of humanistic pride. When we worship and dance before the Lord, and when we blow the shofar and play instruments before Him, we are actually bringing changes and transformation in Oslo and in far-away places in Europe, underscored Pastor Jan-Aage, who also emphasized the significance of building altars for God in our homes. - Every Mama and Papa need to pray and release God´s presence over their children and home so the family can be blessed and protected. 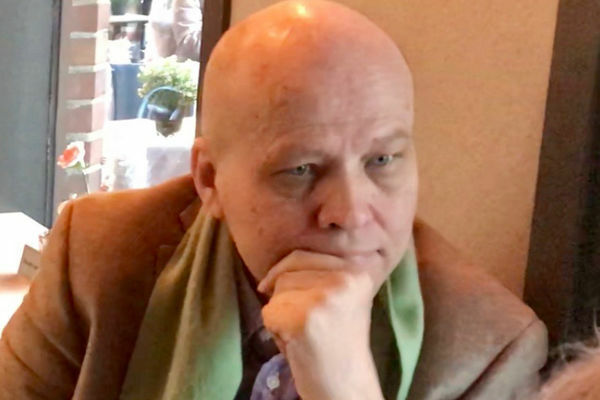 On the matter of setting the altar in place, Jan-Aage stated that the upcoming Prayer Breakfast in Oslo on Saturday of the Christian Coalition (KKN), which Jan-Aage leads, is a mandate from God that he received in 1992. - We hosted significant prayer breakfasts in hotels on Karl Johans Gate (the main street of Oslo) every year between 1992 and 1999. Even two Prime Ministers of Norway attended. The Lord never took away that mandate from me, so we are restarting now in response to His calling. We are not afraid of opposition from «church politics». The people of God in Norway must learn to acknowledge and support what God has set in place, declared Jan-Aage. Lastly, Pastor Jan-Aage called attention to the opposition that the returning Jews encountered. - They did not meet opposition and resistance because they were doing anything wrong. Quite the contrary! Opposition and persecution is a consequence of our anointing and calling. When we move forward strongly in the Lord´s might, then we are removing age-old forces that do not want to be moved. That is called CONFRONTATION. We better get used to it, stated Pastor Jan-Aage Torp joyously. - It simply shows that we are on the right road to victory!